Ever wonder why some solitaire rings cost a bunch more than others? It’s because while it may look like a basic style, sometimes things aren’t always as simple as they appear. 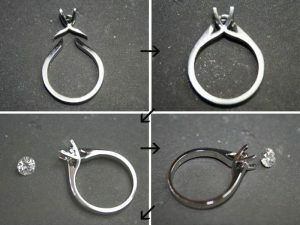 With any ring, labour is a big factor in pricing – the more hours, the more money. 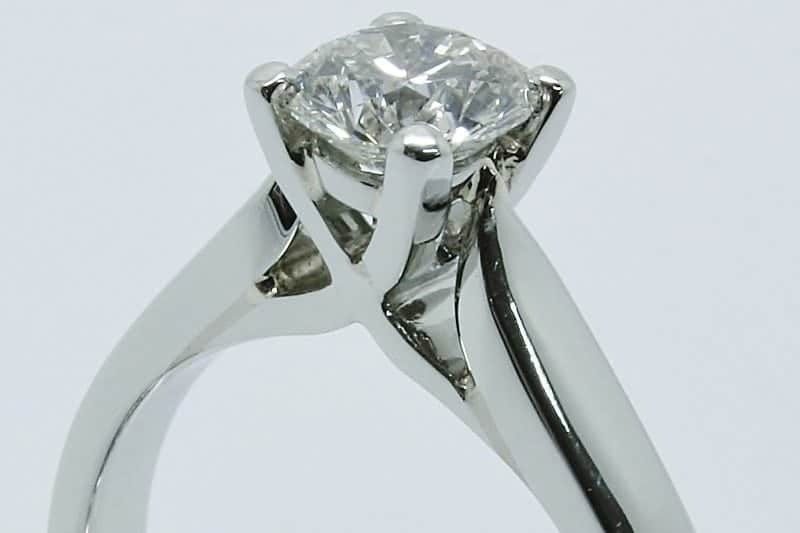 In the solitaire engagement ring world, the trellis style is a great example. The objective is to create something symmetrical that can withstand the rigors of everyday life. 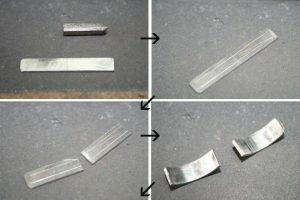 To achieve this, the jeweller reduces the amount of solder joins by a bit of puzzle connecting and a whole bunch of carving out. It’s much easier to show than tell in this case, so I’ll let the pictures explain it. This ring was made by Ferdinand in recycled platinum and features a white diamond from the Argyle mine in Western Australia. The pictures were taken by Ferdinand (for which I am very thankful). This ring, like all the ring we make, was a commission so it has been sold. And there you have it. Just like magic! Ethical Jewellery Australia is an online engagement and wedding ring specialist. Every ring is custom designed and made to order. We take our customers through the whole process from design to sourcing and finally to manufacturing. Likewise, we only every use ethically sourced diamonds and gemstones. You can choose from Argyle, recycled, vintage and lab-grown diamonds, Australian, US, Fair Trade, recycled and lab-grown coloured gemstones. By the way, we offer an Australia-wide service. 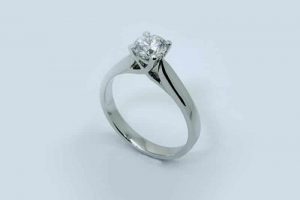 If you would like to learn how to start your engagement ring design adventure, get in touch today. If you would like to learn more about designing an engagement ring, download a copy of our free 70+ page design guide. Melinda is a qualified Gemmologist and highly experienced jewellery designer. She also happens to be the founder of Ethical Jewellery Australia. 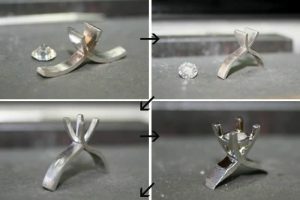 Melinda started the business in 2007 to fill the ‘ethical’ gap in the engagement, wedding and commitment ring industry. Before then, consumers really had no where to go in Australia to buy responsibly produced jewellery. EJA creates handmade rings and other things using the most ethically responsible raw materials possible. 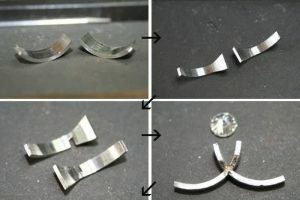 This includes recycled metals and Australian and Fair Trade Diamonds and Gemstones that have been processed by a workforce free from exploitation. I bet everyone is making trellis settings right now!